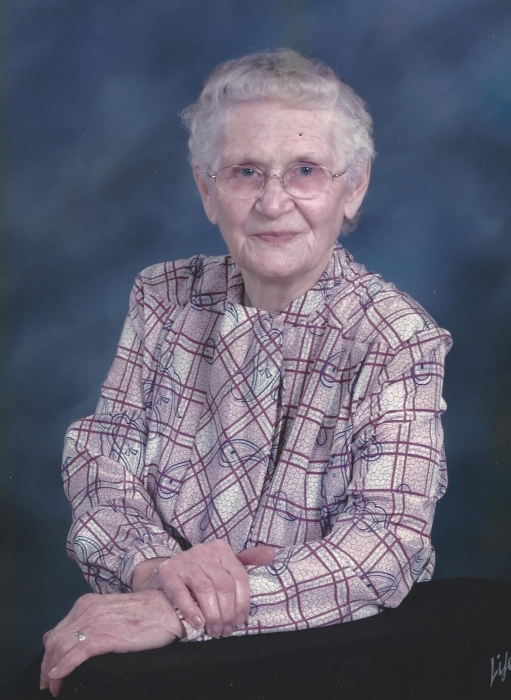 Lucille M. Schank, age 91, of North Branch passed away peacefully on Sunday, December 2, 2018 at Suncrest in Lapeer with her family at her side. Lucille was born on June 27, 1927 in Centerline, MI, she was the fourth child of Henry & Alvera (Grobbel) Ruhlman. Lucille married Edward Schank on October 18, 1949 at St. Mary’s Burnside Catholic Church. Edward passed away on August 20, 1964. Lucille attended Kings Mill School until the 8th grade. She then worked by her father’s side growing vegetables to sell at the Farmers Market. Lucille retired from North Branch Schools as a cook. What a cook she was! She catered many weddings and made the best cinnamon rolls. Lucille was a member of St. Mary’s Altar Society and was a North Branch Thrift Shop volunteer. Lucille had a loving and caring heart and she was willing to help anyone in need. Her door was always open and no one left her house hungry. Lucille is survived by her 12 children; Anna Seaman, Susan (Gary) Seaman, John (Nancy) Schank, Margaret (Robert) Beagle, Ronald Schank, Catherine (Stanley) Hampton, Leonard (Marlene) Schank, Lawrence (Patricia) Schank, Thomas Schank, Kenneth (Kim) Schank, Henry (Linda) Schank, Maria (Dean) Chase, special friend Debra Schank, and many grandchildren, great grandchildren and great-great grandchildren, her brothers; Thomas and Joseph (Pat) (Joanne) Ruhlman and her sisters; Dolores (Seth) Griffin and Gertrude (Vernon) Steele. Lucille was preceded in death by her husband Edward, her parents, son-in-law Ronald Seaman, daughter-in-law Kristy Schank, great-granddaughters; Mariah Morris- Seaman & Katherine Ann Schank, her brothers; Anthony & Robert Ruhlman, her sisters; Joan Hagemeister, Irene Vohs, Catherine Kreiner, Mary Bentz & infant sister Monica. Memorials may be made to the Suncrest Activity Fund or the North Branch Thrift Shop. Visitation will be Wednesday, December 5, 2018 from 4 to 8 PM, and Thursday, December 6, 2018 from 1 to 8 PM with a Rosary at 3:00 PM all at Blackburn Chapel-Martin Funeral Home. The Funeral Mass will be on Friday, December 7, 2018 at 11:00 AM at St. Mary’s Burnside Church. Lucille will lie in state one hour prior to the Funeral Service. Lucille will be laid to rest at St. Mary’s Burnside Cemetery next to her husband.